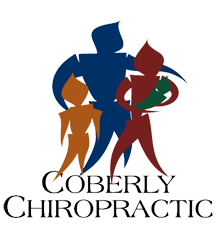 How Chiropractic Helps Low Back Pain During Pregnancy – Coberly Chiropractic, Inc. If you are pregnant and have back pain, you are not alone. An estimated 50 to 70 percent of women who are pregnant experience back pain, according to the American Pregnancy Association. While pregnancy and childbirth is one of the most incredible experiences a woman can have, it is also very hard on her body. There are many dramatic changes that take place during that 9 to 10 month of gestation so it is understandable that she is going to feel some aches and pains along the way. A shift in her center of gravity as her girth increases. Chiropractic care has long been held as a viable method for relieving back pain in pregnant women. Historically, midwives and other natural or alternative practitioners were the ones advocating its many benefits. This resulted in minimal data from clinical studies existing on the topic. However, in the last decade or so, researchers have been looking closer at chiropractic and its many benefits. In one study of pregnant women and chiropractic, 94 percent of the participants experienced dramatic improvement in their pain in just 5 days. Today many doctors and obstetricians are sending their pregnant patients to chiropractors to help them manage their back and joint pain. It is perfectly safe for both mother and baby – and both can benefit from it. Improved mood and less anxiety. Decreased morning sickness and nausea. Easier, faster labor and delivery. In some cases, prevent cesarean delivery. Relief of pain in the back, joints, and neck. By keeping the body in proper alignment, chiropractic care can help a woman have a healthier, happier pregnancy. She can enjoy the many benefits and experience less pain so that she can better focus on the joy of pregnancy and the wonder of bringing a new life into the world. Increased curvature of the back. Protruding abdomen that puts pressure on the back. Keeping the pelvis and lower back well balanced and aligned is integral to preventing lower back pain during pregnancy. What’s more, when the pelvis and spine are not in alignment, it can limit the amount of room the baby has in the womb. This condition is called intrauterine constraint. This can also inhibit the baby’s ability to get in an optimal position for delivery. Keeping the body, including the spine, in proper alignment is vital to mobility, flexibility, and overall wellness of the body even when it is not pregnant. However, pregnancy puts specific stress on the body, creating certain needs that chiropractic care can meet. It is safe, it is effective, it is fast, and it works.